I've been runing a DIR-655 router, along with a cable modem. * I just upgraded firmware to the latest before reaching out through this forum. 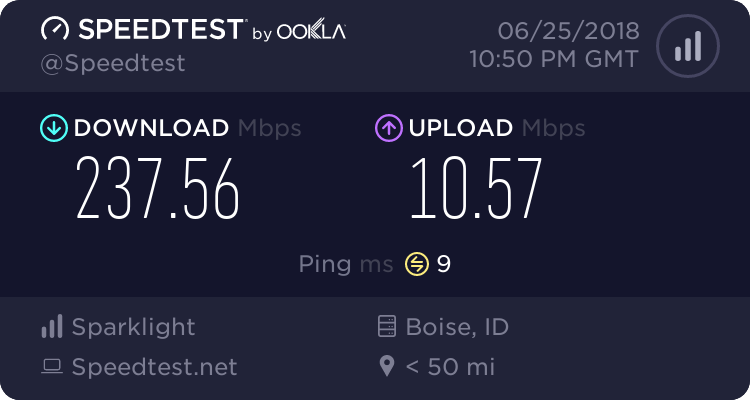 1) When I run Speed Test with my modem directly connected, I see my normal high speed (~100Mbps), but if I run it through the DIR-655, it drops to the 37Mbps range. This being a gigabit router, I'd expect there to be zero issues processing this comparatively low rate, yet it cuts it down to like a third of what it should be. This is completely unacceptable. How do I fix it? I've found some anecdotes about this router being full of bloat that can be disabled, and in particular, "DNS Relaying" apparently is a big culprit. I tried disabling that, but then I wasn't able to connect to anything at all. Maybe I did it wrong. 2) I just changed my modem from an Arris SB6190 to a MB8600, and now I can't see the modem status page (192.168.100.1). This address is the same as with my Arris, and when I tested with just the modem directly connected to my pc, it works just fine, so it's definitely the router doing something broken. While you might be able to say "this is a crazy old router" for (1) (even though I don't buy it - I'm not exactly on the bleeding edge of speed here), there's no way you can say that for (2), since I'm just... literally trying to hit an address that WORKED with all my previous modems. so... little help? Let me know what other info would be helpful here. Thanks! Enable or Use Unicasting (compatibility for some ISP DHCP Servers) and test under Setup/Internet/Manual. Disable may help with speed performance on higher speed ISP services. Region: I guess you want more specific than "US" - Seattle. Wired, though same issue if I try with Wireless, and also tested the cable from the router to the modem by plugging directly with THAT cable - it's not the cable that's the problem. The firmware update did a factory reset as part of its update. Though the only custom setup I have is my wifi password setup. Router working before? It was working the SAME as before. The only reason I did the FW update is that I knew someone would ask for it. It didn't fix anything, and operates exactly as it did before. DNS relay was already enabled, and I've tried disabling QoS before I registered here. Note I'm only paying for 100Mbps, which is slow compared to gigabit. There should not be any tuning/optimization required to get that much from the router out of the box. If I need to turn features off because the router cpu can't keep up with 1/10th of its advertised throughput, then I seriously question the quality of this router. What speed test site are you using? How long have you had this router? Just new? Where did you get it from? Not sure what you mean by "bloat". DNS relay is a necessary feature when dealing with scheduling and access control. Try disabling DNS Relay, when you do this you have to reboot both router and ALL devices as the DNS changes thus DNS cache needs to be cleared. Set Firewall settings to EndPoint Independent for both TCP and UDP. Also set WAN Port speed to 1000Mb instead of Auto. Try one more factory reset and set up from scratch. I presume this maybe either a mis-configuration of the router or a possible HW issue. This router has been around for a LONG time and has had little problems accept for minor FW growth issues. This router has been a solid work horse router for what it is. I have this same model and before my ISP upgraded my speeds, I was also on 100/3 and saw ZERO issues with it. Thanks for the advice, I really do appreciate it. Speed test site: Whatever google picks. I'll let you know when I get home. 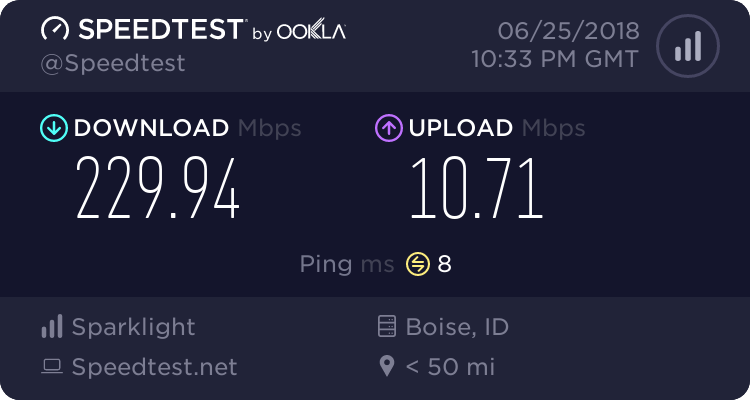 When I connect directly to the modem, I see it basically hit the 95-100 range, and when I connect through the router (tried 3 computers), it just kind of sits around 20-25. How long have I had the router: June 2011, so a while. Never bothered to compare speed with just modem speed (or maybe I had slower service at the time). The reason I brought up bloat is, I went looking at Amazon reviews for it, and one person mentioned a bunch of things, and in particular, that DNS relay cut the performance down to about a third of what it should be, which... is something I need to experiment with. I'll also try setting the WAN port speed if I haven't already. If I set it to 1000mbps, will it still work with speeds below that? If so, why is there 'Auto' as an option? shouldn't it just be "as fast as possible, just get out of the way and let the modem/device communicate unimpeded"
Do you have some thoughts on the second issue? I switched my modem from an Arris to a MB8600, and while the modem's status address hasn't changed (still 192.168.100.1), I cannot access that through the router. I remember reading something about configuring the modem as a bridge or something like that, but haven't followed through with it yet... was focused on getting the speed right. I'll bring my router out and run some quick tests. Not sure if I'll see my 200/10 speeds however if I see anything near 100 or over, I'll know mines working. Well, DNS Relay and bloat would be a misnomer. Bloat has nothing to do with features and what these routers have included in them. I've had this router since around that same time frame. Never seen much issues with it. I don't use DNS Relay unless I need some router controls. I know there is a speed cap in QOS so anything much over 100-200 in down and 2Mb UP is capped for unknown reasons. May have been due to these routers and ISPs speeds at the time were lower back then. Who knows. The 655 was my go to router for handling 3 game consoles on one network all playing same game a couple of years ago. That was on my 100/3 service. 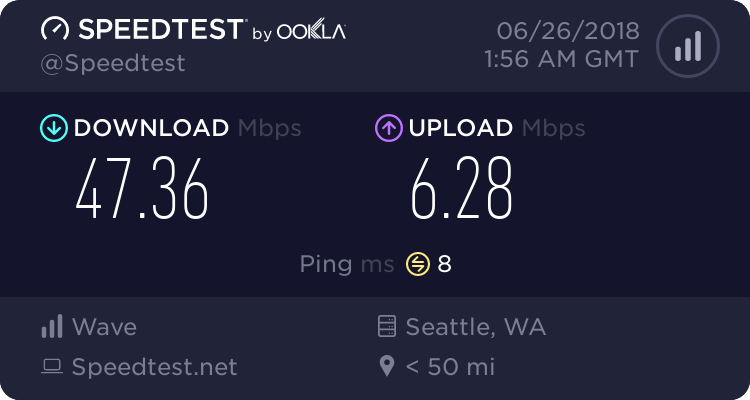 WAN port speed is just the physical connection between the ISP modem and the routers WAN port. Nothing to do with thruput speeds. Most modems from at least 5-10 years ago supported 1000Mb on there RJ45 ports. My first Motorola SB6120 had 1000Mb port. Most older modem going back farther were only 100Mb or 10Mb if you wanted to go back farther. You new modem will have 1000Mb rated WAN port. I also have a Motorola MB7420 and run's 1000Mb connection rate. What IP address string are you using on the 655? Default or something else? You should be able to see the modems page thru the router. I've seen mine when needed. I don't have your particular modem so possible things have changed on this modem. Is this modem a DOCSIS 3.0 or 3.1 modem? Are you getting a public IP address on the 655's wan port or a 192.168.100.something? Should be a ##.##.###.### address on the 655. Also, reboot the modem when changing from your computer to the router to clear out the MAC address of the PC. And finally, use http://speedtest.net and make sure you are selecting the same server when testing from your PC and the router. Ok, just hooked up the good ol 655. It's actually behind another router, using different IP address string. Wired with Windows 7x64 PC using Opera browser. Interesting I'm getting to spec speeds on the UP with TS and QoS enabled. Auto Uplink checked. Est Speed was not estimated after enabling it as I presume the speed test on the 655 doesn't detect anything over 2Mb on the UP. Dynamic Fragmentation is the only thing disabled. I tried setting WAN Port Speed to 1000Mbps, but got similar results. * Modem: It's a DOCSIS 3.1, but supports 3.0; my ISP is serving 3.0 for my current service. * If by "WAN Port" you mean "main status page with default gateway info", then yes, I'm getting the public IP. I'm pretty sure that was the case with my previous modem as well. I'm off to try disabling DNS Relay, and rebooting the world. And have you tried with QoS and TS enabled? This is odd for sure. Only thing I had disabled was uPnP since the 655 was already behind another other. Firewall Endpoint Independent for TCP and UDP. And disabled the wifi radio since I wasn't testing wireless nor need it. 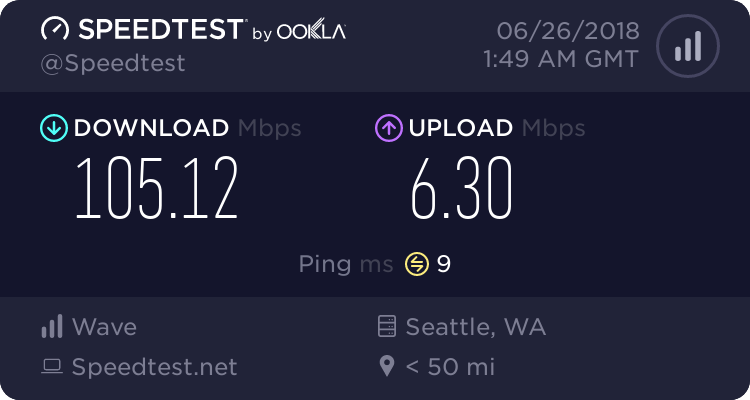 Any other devices connected to the router while speed testing? I only had my Windows 7 PC connected. Only other idea would be to factory reset, reload same version of FW or go back to v2.11, factory reset and immediately test right after the last factory reset. Don't set up anything, should have some internet after the reset so you can test speeds with a wired PC. If same thing happens, Possible something in going bad with 655. This would show if there is a problem with the router. Another suggestion, if you have a family member, friend or neighbor you could take the router too and see if it works at a different location with a different ISP modem, see if the problem follows or not. Yup, I even turned off wireless entirely, in case some device is running amok, to no avail. Tried with Qos/TS on and off, and with FW settings to Endpoint Independent, and basically everything else on the list. I'll go ahead with a factory reset. Is there a difference between using the UI and using the... pinhole reset? Use the routers web page UI. Does same thing...Power cycle the modem too, OFF for 1 minute, then back on. Let is sync, then power ON the 655. Swap lan cable between modem and router and router and PC with a known working cables. CAT6 recommended. Still no good after a full factory reset, plus shutting router/modem down for 1 minute. The cables are fine - the PC<->Router cable is the one I connected directly into the modem to get the faster speeds, and the Modem<->Router cable is one I used this morning to test with a separate laptop, specifically to ensure it's not a cable issue. So I've seen 100Mbps on both relevant cables.